In This Issue: FAA Highlights Importance of Safety Data Sharing and more. A recent FAA fact sheet highlights agency and industry efforts to continuously improve safety through the open exchange of safety data. “NBAA encourages members to participate in safety data sharing programs, whether through providing narrative safety reports, [Flight Operational Quality Assurance] FOQA or FOQA-like data,” said Mark Larsen, NBAA’s senior manager of safety and flight operations. NBAA’s Safety Committee recognized the importance of safety data sharing by including the issue in its Top Safety Focus Areas of 2019. Learn more. The annual Asian Business Aviation Conference & Exhibition (ABACE2019) takes place April 16-18 at Shanghai, China’s Hongqiao International Airport. This year’s show will underscore the emergence of electric and hybrid-electric vertical takeoff and landing (eVTOL) aircraft as a future means of convenient, lower-cost and quiet urban air transport. ABACE is held in partnership with the Shanghai Airport Authority, and co-hosted by NBAA and the Asian Business Aviation Association. Get all the highlights planned for this year’s ABACE. Successful networking is key to career growth in business aviation, and this is especially true for young professionals entering the industry. “My best networking tip would be to be prepared,” said Sierra Grimes, NBAA’s senior manager, registration, and NBAA Young Professionals Council member. “Once you come prepared, and you know who you’re seeking, don’t hesitate. Come in with a goal and have a plan and an actionable item that you can take away from that conversation.” Learn more in this week’s NBAA Flight Plan podcast. 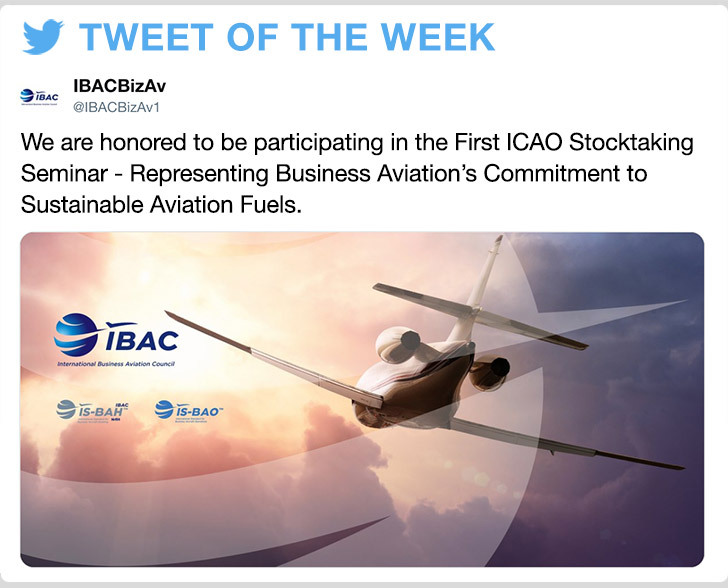 The International Business Aviation Council – of which NBAA is a member – will represent the interests of business aviation at the first International Civil Aviation Organization Stocktaking Seminar toward the 2050 Vision for Sustainable Aviation Fuels. The goal is to inspire stakeholders to substitute a significant proportion of conventional aviation fuels with sustainable fuels by 2050. The FAA is holding a number of public workshops on proposed airspace improvements in certain metropolitan areas, including Las Vegas, NV; Denver, CO and South Florida, and NBAA is working to ensure the industry is well represented at the meetings, which focus on initiatives to enhance safety and efficiency of flights in those parts of the country. In an opinion piece recently published in the Omaha World-Herald newspaper, Mike Gerdes, president of Lincoln, NE-based NBAA member company Silverhawk Aviation, recounted how business aviation helped out following flooding in the state. “Silverhawk Aviation, along with numerous other local volunteer pilots, was able to provide critical lift to deliver people from crisis areas,” he wrote. 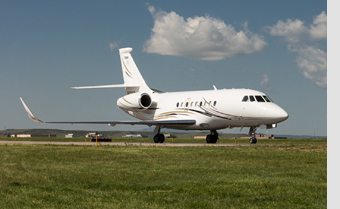 General aviation, including business aviation, is a vital contributor to the economy in every state, and in April, the governors of Kansas, Rhode Island and Utah, as well as several mayors across the country, officially recognized the industry for the important role it plays. Although most U.S.-based business aircraft operators will not fall under those identified as part of the Carbon Offsetting Reduction Scheme for International Aviation (CORSIA), those that are impacted now have guidelines for compliance, following the March 14 publication of the FAA’s voluntary Monitoring, Reporting and Verification Program in the Federal Register. Learn more about the new CORSIA compliance guidelines in Business Aviation Insider.